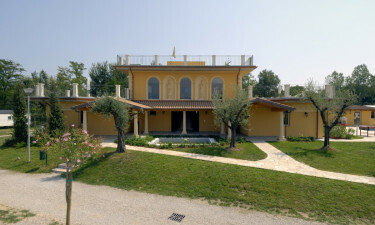 Set right on the edge of the large and lovely Lake Garda, Baia is a holiday campsite whole family is sure to love, and your stay can be booked through LuxCamp with ease. While this is the perfect place to simply unwind for a while, the site also boasts an excellent range of activities for guests to take part in. 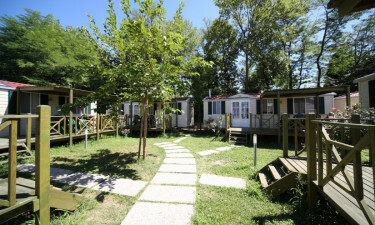 Spending time wandering along the hiking trails that surround Lake Garda is a luxury camping experience that should not be missed. Guests can also have fun on the site by playing tennis, volleyball and football. Why choose Camping Baia Verde? The large onsite swimming pool is the perfect place for the whole family to have fun and it comes complete with a lagoon, a whirlpool and several geysers that the kids are sure to enjoy. There is also a heated swimming pool situated inside a large solarium that can be enjoyed all year round. While Lake Garda is famous for its crystal clear waters, few people realise that the lake also boasts a narrow strip of sand. This is a great place for guests to work on their tans during their camping holiday while soaking up the lake’s enchanting scenery.